Henri de Toulouse-Lautrec, a direct descendant of an aristocratic family of a thousand years, was born on November 24, 1864, at Albi, France, to Alphonse-Charles and Adèle Zoë. His wild and colorful father lived in moderate luxury, hunting with falcons and collecting exotic weapons. Henri began to draw at an early age and found the arts an escape from his loving but over-protective family. In 1878 Toulouse-Lautrec suffered a fall and broke one femur (thigh bone). A year later he fell again and broke the other one. His legs did not heal properly. His torso developed normally, but his legs stopped growing and were permanently deformed. Many attribute his health problems to the fact that his parents were first cousins. In 1882, encouraged by his first teachers—the animal painters René Princeteau and John Lewis Brown—Toulouse-Lautrec decided to devote himself to painting, and that year he left for Paris. Enrolling at the École des Beaux-Arts, he entered the studio of Fernand Cormon. In 1884 Toulouse-Lautrec settled in Montmartre, an area in north Paris, where he stayed from then on, except for short visits to Spain, where he admired the works of El Greco (1541–1614) and Diego Velázquez (1599–1660). In England he visited celebrated writer Oscar Wilde (1854–1900) and painter James McNeill Whistler (1834–1903). At one point Toulouse-Lautrec lived near painter Edgar Degas (1834–1917), whom he valued above all other contemporary artists (artists from his time) and by whom he was influenced. From 1887 his studio was on the rue Caulaincourt next to the Goupil printshop, where he could see examples of the Japanese prints of which he was so fond. By habit Toulouse-Lautrec stayed out most of the night. He frequented many entertainment spots in Montmartre, especially the Moulin Rouge cabaret (a nightclub with entertainment). He also drank a great deal. His loose lifestyle caught up with him—he suffered a breakdown in 1899. His mother had him committed to an asylum, a hospital for the mentally ill, at Neuilly, France. He recovered and set to work again, but not for very long. He died on September 9, 1901, at the family estate at Malromé, France. Toulouse-Lautrec moved freely among the dancers, the prostitutes, the artists, and the intellectuals of Montmartre. From 1890 on his tall, lean cousin, Dr. Tapié de Celeyran, accompanied him, and the two, depicted in At the Moulin Rouge (1892), made a colorful pair. Despite his deformity, Toulouse-Lautrec was extremely social and readily made friends and inspired trust. He came to be regarded as one of the people of Montmartre, for he was an outsider like them, fiercely independent, but with a great ability to understand everything around him. Among the painter's favorite subjects were the cabaret dancers Yvette Guilbert, Jane Avril, and La Goulue and her partner, Valentin le Désossé, the contortionist (an acrobat who demonstrates extraordinary bodily positions). Through the seriousness of his intention, Toulouse-Lautrec depicted his subjects in a style bordering on, but rising above, caricature (exaggeration). He took subjects who often dressed in disguise and makeup as a way of life and stripped away all that was not essential, thus revealing each as an individual—but a prisoner of his own destiny. The two most direct influences on Toulouse-Lautrec's art were the Japanese print, as seen in his slanted angles and flattened forms, and Degas, from whom he derived the tilted perspective, cutting of figures, and use of a railing to separate the spectator from the painted scene, as in At the Moulin Rouge. But the genuine feel of a world of wickedness and the harsh, artificial colors used to create it were Toulouse-Lautrec's own. caught the feel of the brothels and made no attempt to glamorize them. In the Salon in the Rue des Moulins (1894) the prostitutes are shown as ugly and bored beneath their makeup; the madam (woman in charge) sits quietly in their midst. He neither sensationalized nor drew a moral (having to do with right and wrong) lesson but presented a certain interpretation of this side of society for what it was—no more and no less. Toulouse-Lautrec broadened the range of lithography (the process of printing on metal) by treating the tone more freely. His strokes became more summary (executed quickly) and the planes more unified. Sometimes the ink was speckled on the surface to bring about a great textural richness. In his posters he combined flat images (again the influence of the Japanese print) with type. He realized that if the posters were to be successful their message had to make an immediate and forceful impact on the passerby. He designed them with that in mind. Toulouse-Lautrec's posters of the 1890s established him as the father of the modern large-scale poster. His best posters were those advertising the appearance of various performers at the Montmartre cabarets, such as the singer May Belfort, the female clown Cha-U-Kao, and Loïe Fuller of the Folies-Bergère. In an 1893 poster of dancer Jane Avril, colored partially in bright red and yellow, she is pictured kicking her leg. Below her, in gray tones so as not to detract attention, is the diagonally placed hand of the violinist playing his instrument. There is some indication of floorboards but no furniture or other figures. The legend reads simply "Jane Avril" in white letters and "Jardin de Paris" in black letters. Cooper, Douglas. 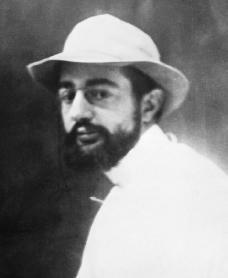 Henri de Toulouse-Lautrec. London: Thames and Hudson, 1988. Frey, Julia. Toulouse-Lautrec: A Life. New York: Viking, 1994. Heller, Reinhold. Toulouse-Lautrec: The Soul of Montmartre. New York: Prestel, 1997.